NEW: Photos of all lecturers, and Web proceedings of the conference! 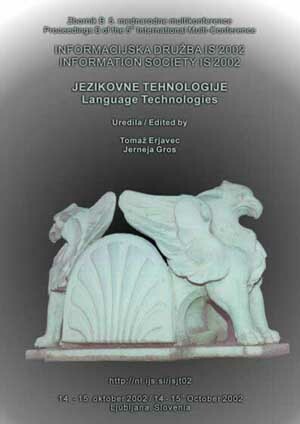 The Slovenian Language Technologies Society orgainsed, in the scope of the Information Society - IS 2002 metaconference, its third bi-annual conference. The conference topic was Language Technologies, i.e. the computational tools and methods that assist in authoring, exchange, structuring, searching, storage, translation and other processing of language data, esp. for the Slovene language. regular annual meeting of the Slovenian Language Technologies Society.